....of the fashion industry is a close call for me. There are a few big contenders. 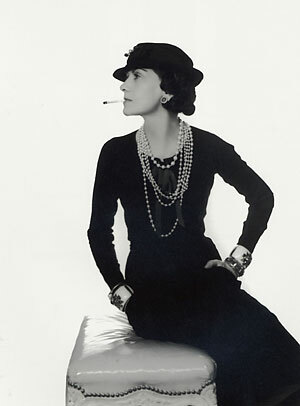 Past notables are Coco Chanel and Diana Veerland. 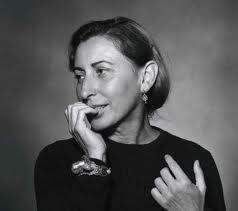 Present heavy weights are Miuccia Prada and Anna Wintour. With the exception of Yves Saint Laurent and Valentino I am always drawn to the female players of the fashion industry, they seem to have all the drive and passion. I know fashion favourites come and go DVF is a good example of a career gone and back again. 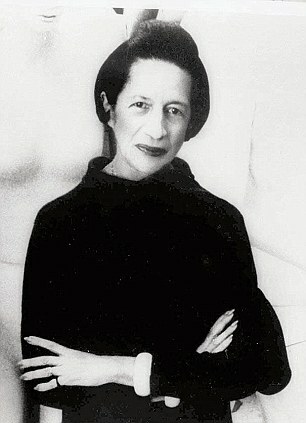 I admire Phoebe Philo tons and have a soft spot for Stella but Anna is my queen fashion bee. Am I the only person to love the Devil Wears Prada for all the wrong reasons. As a caricature of Ms Wintour,the book only lead me to admire her more not least because she turned up years later for the film premier wearing Prada. My favourite moment in the September Issue is her meeting with Stefano Pilati and her concern over his collection 'it is a lot of black' and guess who has been proved right! I always view the shoe situation as Anna being a bit of a Make Do Style girl at heart. She knows the value of wearing comfy heels and not getting distracted by anything 'it' status. 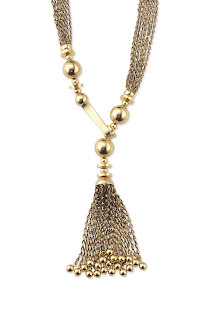 Anyway I love Anna and so when I found out she had specifically requested this necklace for her after its inclusion in Vogue, I jumped for joy as I have one too! 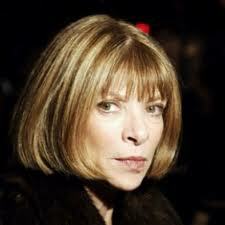 Completely agree about Anna Wintour. I admire her so much. More after Devil wears Prada and September Issue. She does a top job in a top industry and does it well. US Vogue hardly ever has a typing error which is one of the things that show an eye for detail even though perhaps not important for many. And a driver and two PAs is really rather normal at that level. Expecting high standards is quite normal too I would think. So agree completely.